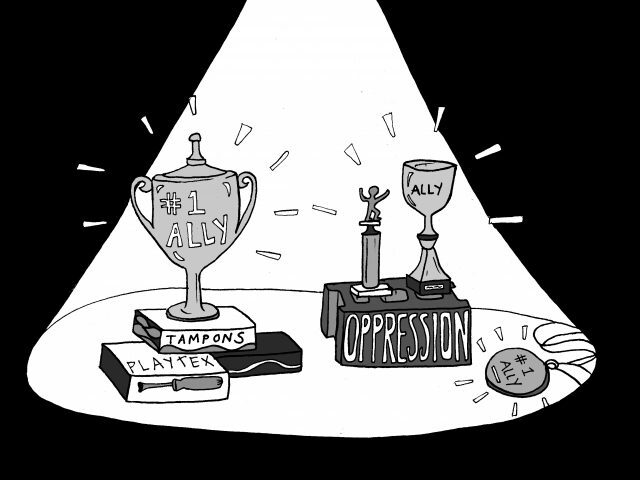 As Bowdoin moves toward being more understanding and accepting of gender and sexual diversity, this scene is becoming more and more familiar, but don’t worry if you don’t quite get it—I’ve you covered. To start, a pronoun is a part of speech that substitutes for a noun. For instance, instead of saying “Claire wrote an article,” you could say, “She wrote an article.” In this case “she” is the pronoun. 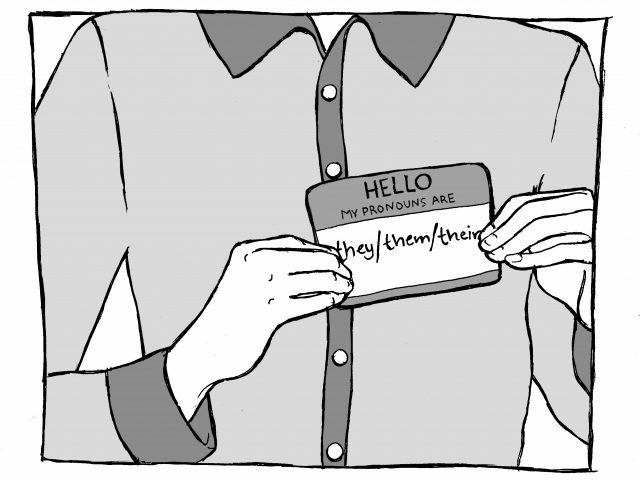 Asking for pronouns in a group introduction is a great and simple way to make spaces more inclusive of gender diversity. It gives people an easy way to tell you what they like to be called, so you don’t accidentally misgender them (call them the wrong gender). It gives everyone space to seriously consider their gender. It can teach people about gender diversity, like how someone might use “they” pronouns. It makes people feel welcome. So back to the initial scenario. When it is your turn to speak, what do you say? I remember the first couple times I was asked to declare my pronouns. I felt uncomfortable, almost offended. As a cisgender woman (I identify with the gender I was assigned at birth), I had never had to think about my gender presentation. I felt offended that the question implied that I might not be presenting myself as feminine as I felt inside. Of course that’s the point—that what you see on the outside doesn’t always match the inside. But I squirmed under the question. I wanted to say “the pronouns you would expect” or “female pronouns.” But neither of those answers are accurate. What if someone doesn’t expect that I use “she, her, hers” pronouns? What is a female pronoun? Someone who identifies as agender (no gender applies to them) may use “she, her, hers” but then the pronouns aren’t female but rather agender. Having to declare you gender pronouns can be scary, but it is a simple way to make Bowdoin spaces more inclusive. So, next time someone asks you for your pronouns, please use the words you want to hear, be they she, he, they, xie, ze or just your name. Claire Day is a member of the class of 2018. My issue with the “declaration of pronouns” is that it essentially forces individuals with non-binary genders to out themselves. As cisgendered individuals, we experience a degree of comfort with our assigned genders that a non-binary person never will: we have had our genders affirmed by society since birth, so we can stand up free of internal conflict and trauma, and proclaim what our pronouns are. 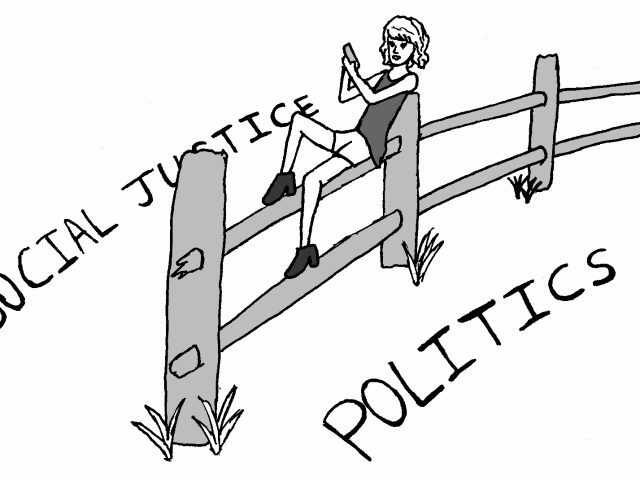 Consider a non-binary individual who is not yet comfortable publicly expressing their gender. What sort of choice have we given them? They may either affirm their assigned gender, or out themselves. Previous estimates place the rate of sexual assault or abuse among transgendered individuals at over 50% [Xavier et al., 2007], so public identification is a dangerous prospect. It has always seemed to me that public introductions using pronouns is more a way for cisgendered individuals to show how familiar with the issues of gender they are, rather than to actually support our peer who do not conform to a binary gender system. Of course, removing these introductions means we run the risk of misgendering someone. That said, I would much rather beg forgiveness for misgendering someone, rather than forcibly out someone who might not be totally comfortable discussing their gender with a group of strangers.